Good news in Alberta, which has just signed a deal similar to those in BC, Ontario, Saskatchewan and Quebec! In the USA, Harvoni and sofosbuvir have been approved for pediatric use!!! It’s about time! And both Italy and Brazil have taken steps to increase access to treatment for citizens who cannot afford the current medicines: Italy, by allowing importation of generics, and Brazil, by contesting the sofosbuvir patent. Good news in Saskatchewan, which has just signed a deal similar to those in BC, Ontario and Quebec! France has also signed a deal with Gilead to lower prices and continue Universal Access for its citizens. Other countries in Europe are not so lucky, so MSF (Doctors without Borders) has launched a patent dispute in Europe over sofosbuvir. Bad news? Researchers have found a possible correlation between hepatitis B or C and Parkinson’s Disease! This is not the first study to find this out!.. So …..Yikes. Some good freebies are available from the 10th Annual Paris Hepatology Conference… Check them out! 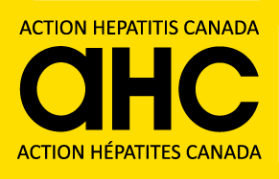 Expanded Access to New HCV Treatments Now in Effect! Well, if you’ve been up to our site and seen the daily news posts you will have seen that new drug access policies have now come into effect in BC and Quebec, as well as Ontario. It looks like the slate is the same for these 3 provinces, and we are listing what’s available in BC so you can make sense of it. Also we have another installment on HepCBC’s 2017 Road Trip to BC’s Interior, and other news. Another Roadtrip to BC’s Interior is Happening Now! Top of the news this week is a report from Cheryl Reitz who has just embarked on another Outreach Road Trip to BC’s rural, remote, and First Nations communities. The report this week covers Lytton, Spences Bridge and Cache Creek. The report is very detailed and we have included a slide show. Ural/Remote/Indigenous Hepatitis C Outreach 2017 – Part 1. Other news touches on an un-remembered transmission source, the need for vaccines, and the relationship between HCV and cataracts! Seven Big Events in Six Days! A whirlwind of activity in three far-flung cities for HepCBC: 2 events in Vancouver, 3 in Banff, and 2 in Prince George!! Reports from 3 of our Board members on the AHC, CAHN and CASL conferences, and a report on the webinar conducted in Prince George on Rural vs. Urban Treatment Disparities, and a report on the Wellness North EXPO. There are lots of photos and the webinar is accessible as well! Other news items touch on the persistence of neuropsychiatric impairment post cure, and the disheartening fact that Boomers are not getting tested! !